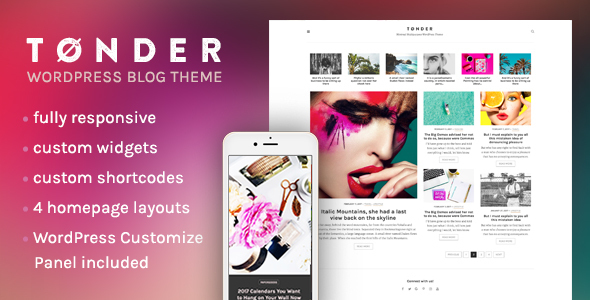 TÃ¸nder â€“ simple yet powerful WordPress theme is here! Thanks to very clean layouts with 16 different versions included (editable in seconds via layouts picker!) it lets you to create a perfect blog. Try it! Start your new blog now with TÃ¸nder â€“ perfect solution for clean, clear and appealing website!